Today we’d like to introduce you to Gideon Akande. I’m a proud alum of Lane Tech, born and raised in Chicago. Thanks to a scholarship from the College of the Holy Cross in Massachusetts, I was offered the opportunity to play Division I football. That was one of many experiences in saying “yes!” to the unknown, having faith, and giving it my all. I played running back for four years, served as team co-captain, made lifelong friends, and earned my degree in political science. The seeds of my future profession had been planted, but I set out into the world without yet having discovered my purpose. of life. What they all had in common is the desire to improve themselves or their companies through fitness. It’s been incredibly rewarding to be able to help them do that. Along the way, I took another risk: I established my own training business. What’s been exciting is that clients and companies have reached out to me for much more than workouts and boot camps. I’ve been able to partner with human resource managers, marketing directors, and CEOs to help them think about how to use fitness to improve their company or their brand. Together, we’ll create employee fitness programs, social media branding campaigns, wellness events or other approaches that help them fulfill their strategic goals. Bringing forth my experience in the corporate world, my social media branding experience, and my passion for 203.31.18 movement, this cross-section of skills has been beneficial for my corporate clients and partners, who in turn influence thousands of others. I don’t know if the journey is smooth for anyone who’s working on achieving big goals, but that’s good because the bumps are where the best learning happens. Leaving a full-time position in corporate sales to become a trainer was a challenge, and that’s how I learned the joy that comes from leaving your comfort zone to pursue a deeper passion. Leaving staff positions with fitness studios to go out on my own also was a huge risk. And through that, I’ve learned how to establish my own business, and am loving the freedom of working with such a variety of companies and professionals on projects and initiatives. 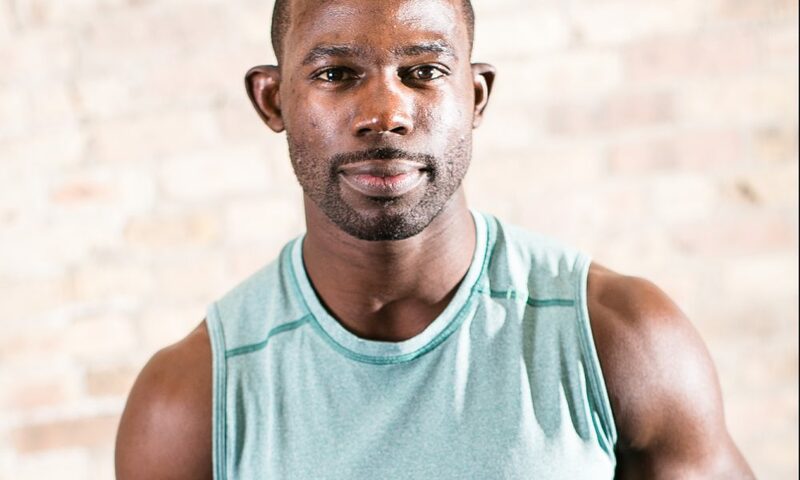 From creating a nationally-released training program for Men’s Health to filming a workout series for NordicTrack® in Thailand to leading live workouts for thousands at fitness festivals, these experiences have pushed me to take risks, be willing to fail, and ultimately reach newer heights. Whenever I have an opportunity to do something bigger or more challenging than I’ve done before, I welcome that as a chance to grow. So let’s switch gears a bit and go into the Gideon Akande story. Tell us more about the business. 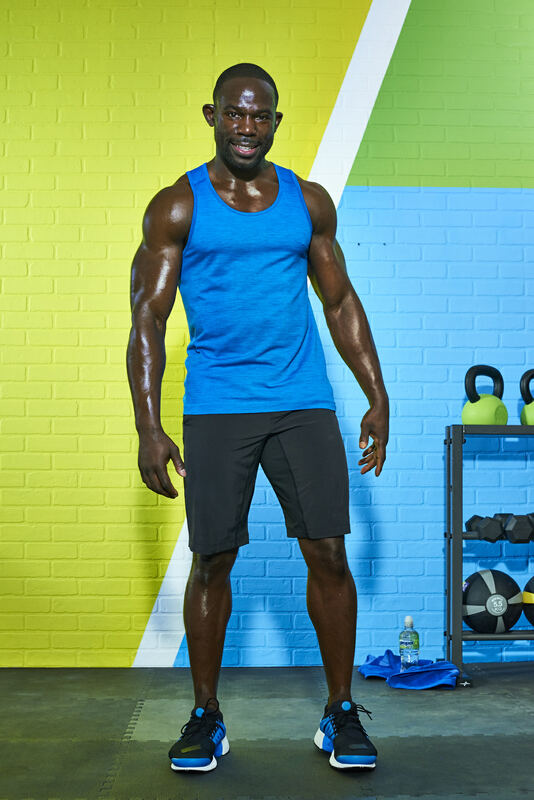 One of my most pivotal experiences happened in 2015 when I took part in the Men’s Health national competition to identify the nation’s next top fitness trainer. 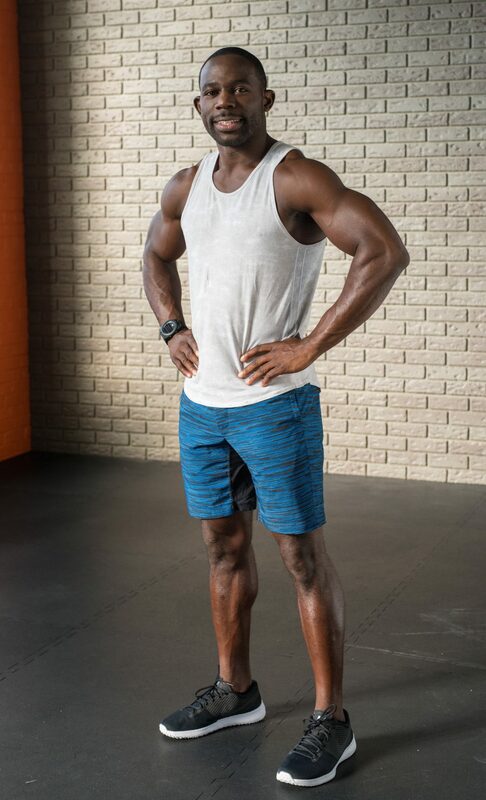 After being selected among eight finalists to vie for the title, my fellow competitors and I were evaluated on fitness knowledge, teaching a skill, motivational style, and other attributes. At the end of a very intense week, the Men’s Health judging experts selected me as the national winner. From the judges’ feedback and other reviews I’ve received over the years, I’d say I’m most known for my passion, commitment, and energy. People with ambitions are extremely busy and time is short, so I find out what my clients and corporate partners want, and work with them to help them achieve their goals efficiently while making it fun too. The fantastic thing about fitness is that it’s accessible to anyone. You don’t need to be an elite athlete or a young person with boundless energy. At any age and at every stage of life, fitness is a gateway for us to become our best selves, and I want to hold that door wide open for everyone. projects, this has added to my insights that make me even more valuable to my clients and corporate partners.